So I found another awesome shirt pattern! I was really excited when I was invited to be a part of Imagine Gnats pattern tour, I’ve been wanting to try out the cute Bess Top pattern since I’ve seen peoples versions of the shirt circulating on Instagram. But I was even more excited when I sewed up the shirt and tried it on. 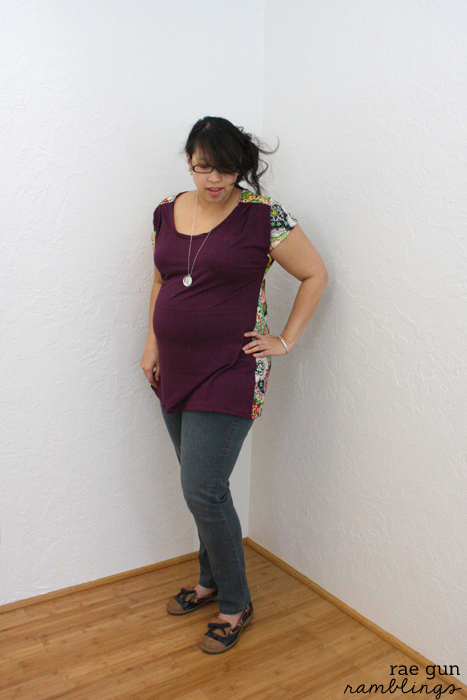 Not only is it a SUPER quick and easy sew, I really love the fit. 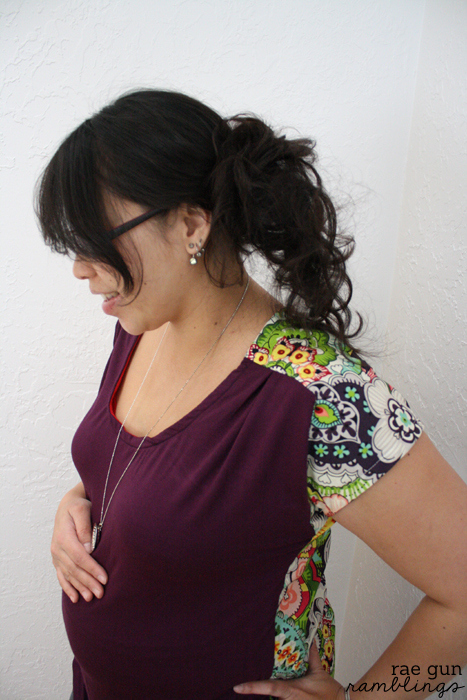 I did not alter the pattern at all to make it Toasty (prego) friendly. All I did was make the front piece out of a knit. This pattern is made to be used with woven (non-stretchy) fabrics but I’m just a rebel like that. It comes in three lengths: shirt, tunic, and dress. 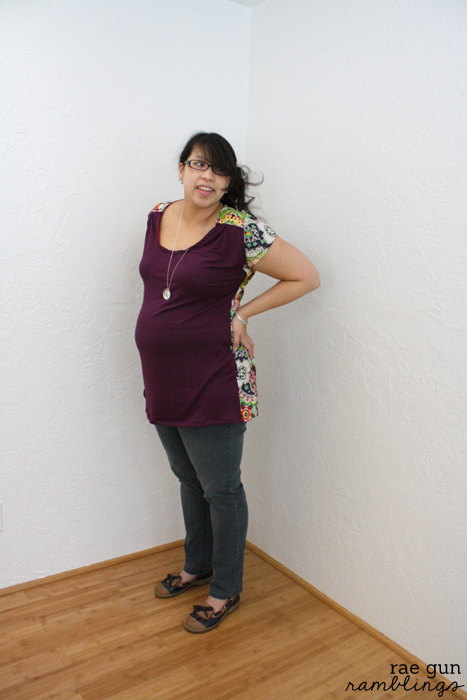 I made the tunic since I figured that it would easily cover my bump now and then it would be just a normal tunic after Toasty comes. Also I LOOOOOVE that it has two necklines. Really why don’t more patterns do this? Rachael is a genius that must be it. PS you know you love my startle face. PSS did you notice the new white walls? SOOOOO much better that the old yellow! But back to the pattern, if you want to join me in “Sewing Our Stash” and making more wearables for yourself this is a great pattern to add to your collection. There are only a few steps so it comes together very fast. And I just love how unique a design it is. Simple but with cool details. I will definitely be making more. Enter to win a copy of the pattern (or a different one of the Imagine Gnats patterns) in the rafflecopter above. Also if you just can’t wait use the code “januarytour” in the Imagine Gnats shop to receive 20% off of any of her patterns. While you’re there be sure to check out her cute fabrics, I bought some darling ones for Toasty a few weeks ago (spoiled boy). 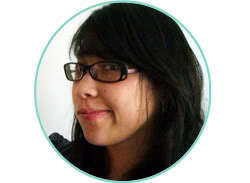 And make sure you check out all the other great bloggers who are joining in on the pattern tour. I think it’s so fun to see different versions of the same patterns. Thanks so much to Rachael for having me on the tour. See more at her shop and her blog! If I won, I’d choose the Roly Poly Sewing Pattern. It’s so versatile and fitting for girls of any age! P.s. You look adorable being pregnant! That is such a cute pattern. And thanks so much. 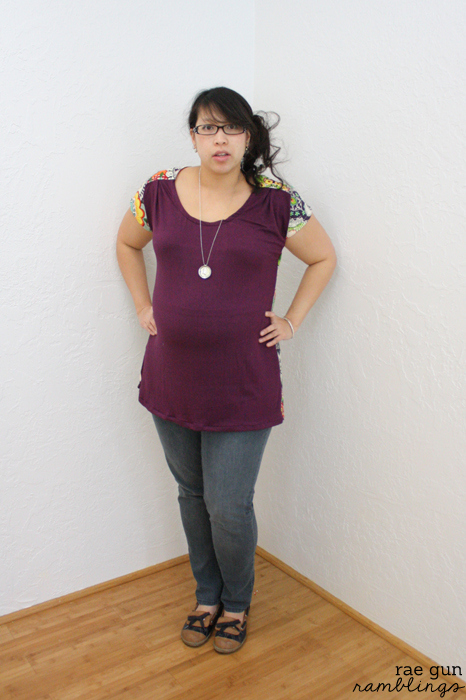 I bought fabric last week to make this top. I have been waiting for payday to buy the pattern. I’d choose the Meridian Cardi for Women. I bought the girls one last week and want it for myself too! I need to try that one next! Super cute! I like her Meridan Cardi pattern, too. Thanks for sharing! Thanks Ros, I love how it turned out! Oh, it looks so great on you! 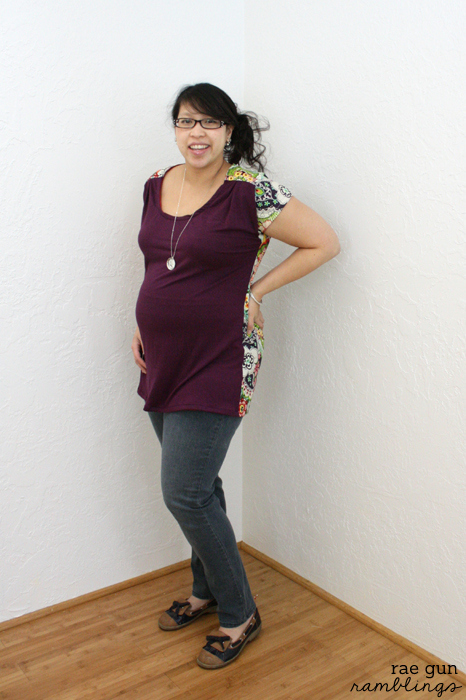 I just made a Bess Top and want to make more! I would choose the Meridian Cardi for women if I won. Looks great! And so smart to use a knit. I rarely sew for myself, but I should! The Meridan is next on my list! I think I’d go for the Bess Top too!